Heading out for a long day with baby? 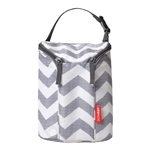 The Double bottle bag is insulated to keep two bottles or sippy cups cold for up to four hours. It also makes a great bag for baby's snacks! Heading out for a long day with baby? 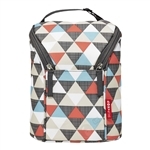 The Double bottle bag is insulated to keep two bottles or sippy cups cold for up to four hours. It also makes a great bag for baby's snacks! Heading out for a long day with baby? 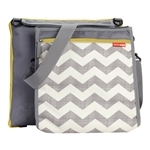 The Double bottle bag is insulated to keep two bottles or sippy cups cold for up to four hours. It also makes a great bag for baby's snacks! Heading out for a long day with baby? 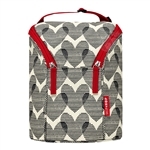 The Double bottle bag is insulated to keep two bottles or sippy cups cold for up to four hours. It also makes a great bag for baby's snacks! 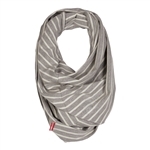 Our soft and breathable nursing scarf has a mesh window that allows you to view baby, but still provides cover as you nurse. Wear it poncho style for 360-degree coverage, position it over one shoulder, or even wear it as an infinity scarf when not feeding baby. Now that’s a versatile accessory. 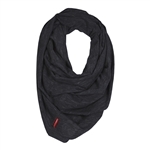 Our soft and breathable nursing scarf has a mesh window that allows you to view baby, but still provides cover as you nurse. Wear it poncho style for 360-degree coverage, position it over one shoulder, or even wear it as an infinity scarf when not feeding baby. Now that’s a versatile accessory. Wherever you roam, our Central Park Blanket is ready for the beach, park or playtime at home! Once you reach your destination, it unfolds into a spacious water-resistant blanket, keeping everyone's picnic clean and dry. 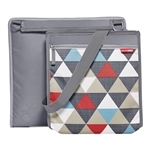 This versatile blanket features an insulated cooler bag to chill snacks and drinks; there's even room for parent essentials. 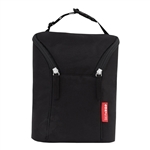 Detach the cooler bag and it becomes a compact messenger for quick trips to the ice cream stand! Wherever you roam, our Central Park Blanket is ready for the beach, park or playtime at home! Once you reach your destination, it unfolds into a spacious water-resistant blanket, keeping everyone's picnic clean and dry. This versatile blanket features an insulated cooler bag to chill snacks and drinks; there's even room for parent essentials. Detach the cooler bag and it becomes a compact messenger for quick trips to the ice cream stand!